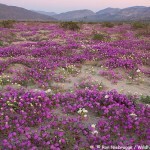 A photo from 2015, this may have been the best wildflower year in Anza-Borrego in about 10 years. Thanks to one of the largest El Nino’s maybe ever, I don’t think the anticipation for a big desert wildflower bloom has been bigger. I have been getting numerous emails asking about conditions so I thought I would share my observations and thoughts. I have been visiting desert areas like Anza-Borrego since I was a child, and for the last 10 years have spent at least a month every winter in the Anza-Borrego desert. We have already arrived and spent a number of days camping in Borrego after traveling across the Southern half of Arizona. I might add, this is at least two weeks earlier then most years, so my point of reference is a bit off. But, in general, things are looking good, especially as you move North. Many of the storms this winter have stayed north of Southern California, and have hit the Sierras very hard. Because of this, Death Valley is looking very good. 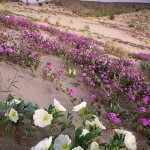 In fact, there are already wildflowers showing in good numbers in Death Valley. It was a bit early to see much when we passed through Arizona, but in areas there was green beginning to show. In other areas, there really wasn’t much showing at all. This isn’t unusual, even in a good year, some areas end up being much better than others. There were areas along Highway 8 about 100 miles from California that were incredibly lush, showing lots of potential. It is still early, but looks encouraging. It is certainly worth watching. 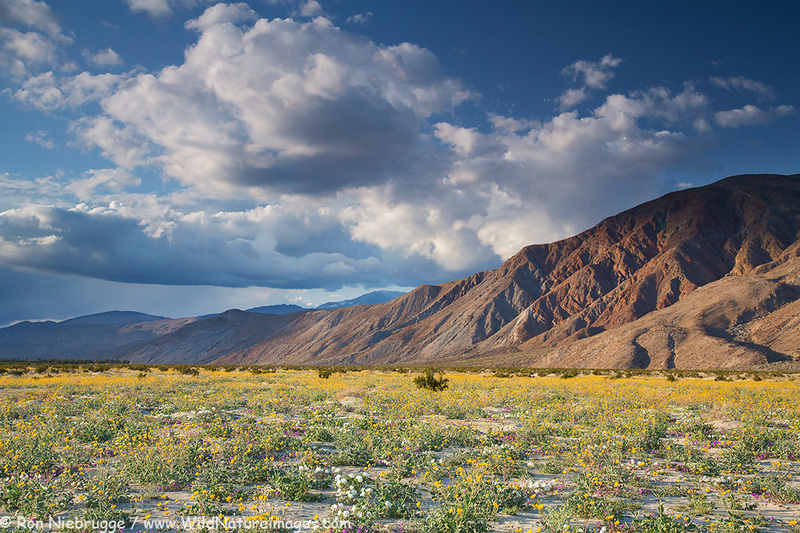 Unfortunately most of the storms missed this Southern Californian desert known for its wildflower blooms, that is until early January. In early January, this area received a staggering 2.5 inches of rain. The rain came over a number of days allowing for a good soaking. It was enough for the writer of the nature column in the local paper to write “We should have a marvelous – perhaps miraculous – spring bloom”. 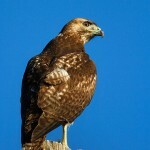 Hal the Hawk Guy, who leads a Wednesday bird walk I try to join whenever in town thought the area needed one more rain for a good year – just such a rain, he pointed out, is forecast for this weekend. My observations? I must admit at being disappointed in the lack of plant life as we we rolled into town last weekend. However, I think that is largely because I am here a couple of weeks earlier than normal. Over the last couple of days as I have gone on a few trail runs, I have noticed a profusion of small sprouts emerging, particularly closer to the mountains. I know it is early, but I would say at this point things are looking pretty good, and another rain or two could do wonders. I might add, the TV weather people have been mentioning that Arizona and Southern California should still see plenty of rain over the next couple of months, a time frame in which these areas typically receive precipitation during an El Nino. So stay tuned for further updates here as the season progresses. Thanks for the update. Looking forward to your workshop. Thank you for sharing. That looks wonderful. Love the update. Thanks fro sharing. Thanks for the update Ron! We are currently in Yuma and planning to head over there soon. @Patricia, pretty stormy in Yuma right now. Say hey when you get over that way! Desert lilies have sprouted in a number of locations in the Park which means the rains have percolated to some depth. You can see them in Pinyon Wash, west and south of The Slot near Butte Mountain. A number of different species of annuals are sprouting in the Texas Dip, not too far off the road. 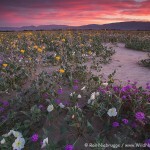 I’ve seen Desert Poppy, Spanish Needles, Desert Sunflower, along with others, and, of course, some early Sahara Mustard. The annuals are just beginning to leaf out as you can see the cotyledons and first, and sometimes, second, true leaves. Thanks for the update Arie! We were in the southern area last weekend and found a couple over achieving Ocotillos and a Chuparos Bush or two. Besides that not much else. 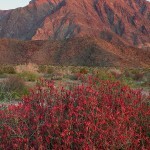 Ocotillo are all covered with thick green leaves so maybe this is a sign of things to come? Thanks Borrego Bob, was wondering how it looked down South. Seems like things are progressing slowing, although the Ocotillos are sure green in the Northern portion as well.